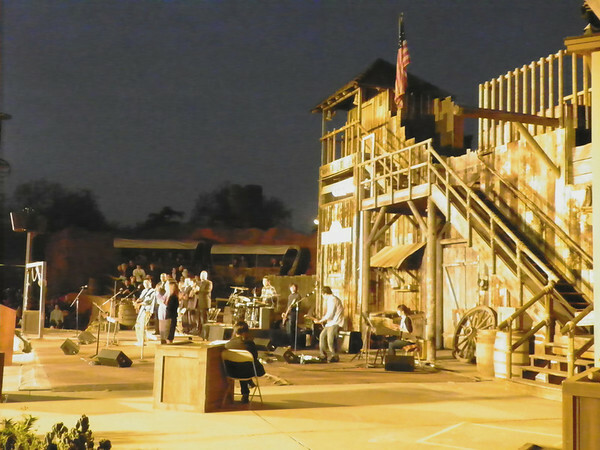 Every year since 1952, the Southern Baptist Convention has hosted the 6:00 a.m. Easter Sunrise Service at Knott's Berry Farm's Wagon Camp. The public is invited. Hot chocolate, coffee and pastries are available for sale and - notice in the program and from the pulpit - "Mrs. Knott's Chicken Dinner Restaurant will be open for breakfast after the service". Attendance at this service does not include free entry to the Park for the day.